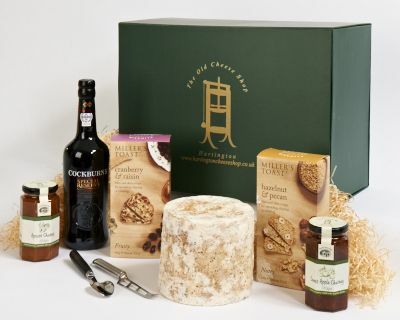 This fantastic hamper box branded with our own Hartington Cheese Shop logo provides an elegant gift for any Stilton lover. This taste tantalising hamper for somebody in love with everything cheesy‚ perfect for that special occasion. Please Note: IF THERE IS A SHORTAGE OF MINI STILTONS‚ WE WILL SUBSTITUTE THE MINI STILTON FOR A 2.5kg RING OF HARTINGTON BLUE STILTON.